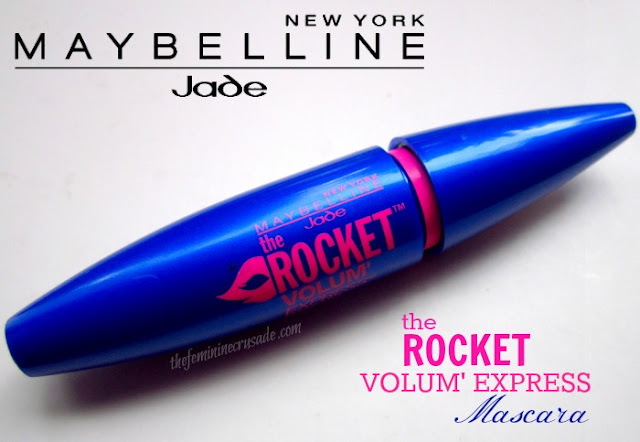 Maybelline The Rocket Volum’ Express Mascara come three black versions, I bought the Washable Blackest Black mascara. Also available in waterproof! Each tube contains 9.6ml of product. 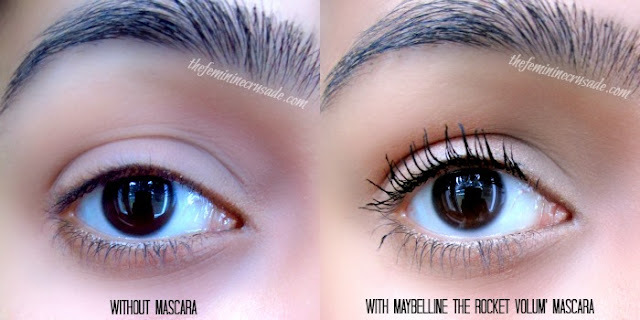 This is my first Maybelline masacara, from a brand that is famous for their drugstore mascaras. How unbelievable, right? 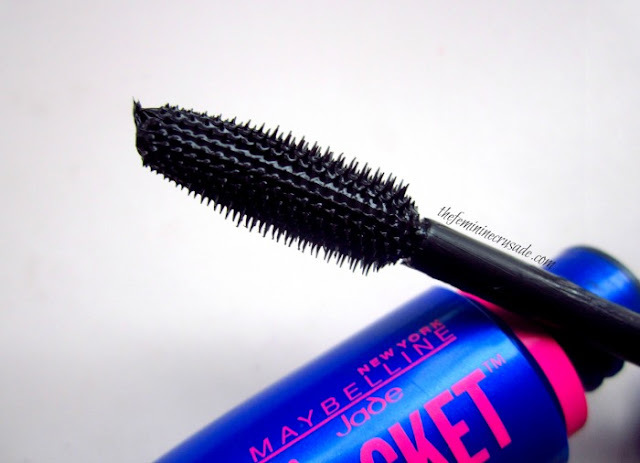 Before getting into all the lengthy details a review requires, let me tell you, this may not be the best mascara by Maybelline but I love it to bits. Maybelline sure knows how to catch us with their packaging. They are always up and about with bright colours that tempt your fingers. 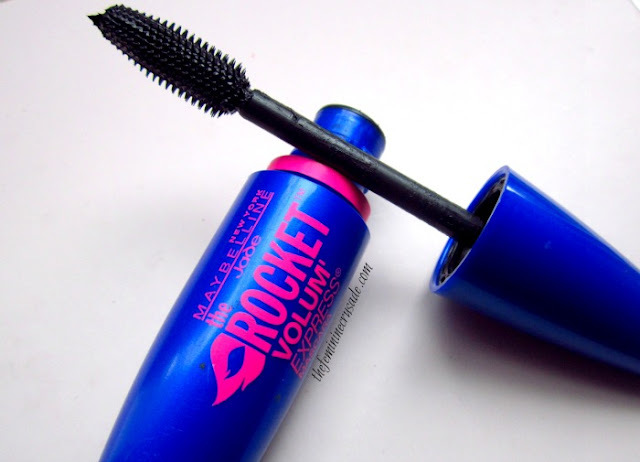 The Rocket Volum’ Express Mascara is a bulky royal blue tube with hot pink inscription. It has a medium-sized wand with micro bristles. The wand because of its size and elongated length is quite easy to work with but the bristles shorten closer to the tip making it difficult to reach the inner corners. I love how Maybelline mean it when they say their mascara is BLACKEST BLACK. That is one trick that automatically gives the illusion of full, dark lashes. Although, this mascara is nowhere giving you any false, dramatic lash effect; but it certainly makes the lashes VERY black, thick and adds a considerable amount of length. Overall, it really pops out the eyes and lashes. On the first coat, it does a great job of separating the lashes. But with the second coat and so on it starts clumping them. So you really have to work your way with this mascara. I really like the formula, not too dry, not too wet. Doesn’t smudge much during application and dries quickly. I have curled my lashes in the swatch below before applying the mascara, and even though I have the Washable (non-waterproof) version my curl lasts almost all day. But that might not be the doing of this mascara because my curl lasts with almost any mascara if I use a lash curler. I don’t see the mascara flaking or peeling or even smudging throughout the day. And it comes off quite easily too since it’s non-waterproof. I personally want my lashes to look thick and noticeable. This mascara does that, and that too quite well. It doesn’t matter to me if it clumps or gets brittle or takes time to work with, I still use it everyday and love it.